Human Communication in Society takes an enhanced look at the relationship between humans and their societies through a contemporary critical lens. By examining history and societal structures as a means to assess modes of human communication, the text helps readers to understand the theory and context of the way people interact. The Fourth Edition uses new examples, illustrations, and pedagogical materials to highlight the importance of understanding multiple perceptions when studying communication. By addressing vital forms of communication such as listening, responding, verbal/non-verbal communication, and perception, Human Communication in Society addresses the subject of interpersonal interaction from a holistic standpoint. MyCommunicationLab for the Introduction to Communication course extends learning online, engaging students and improving results. Media resources with assignments bring concepts to life, and offer students opportunities to practice applying what they’ve learned. And MediaShare offers an easy, mobile way for students and instructors to interact and engage with speeches, visual aids, group projects, and other files. Please note: this version of MyCommunicationLab does not include an eText. 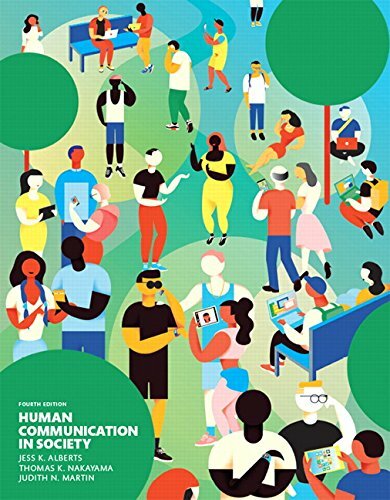 Human Communication in Society, Fourth Edition is also available via REVEL™, an immersive learning experience designed for the way today’s students read, think, and learn.